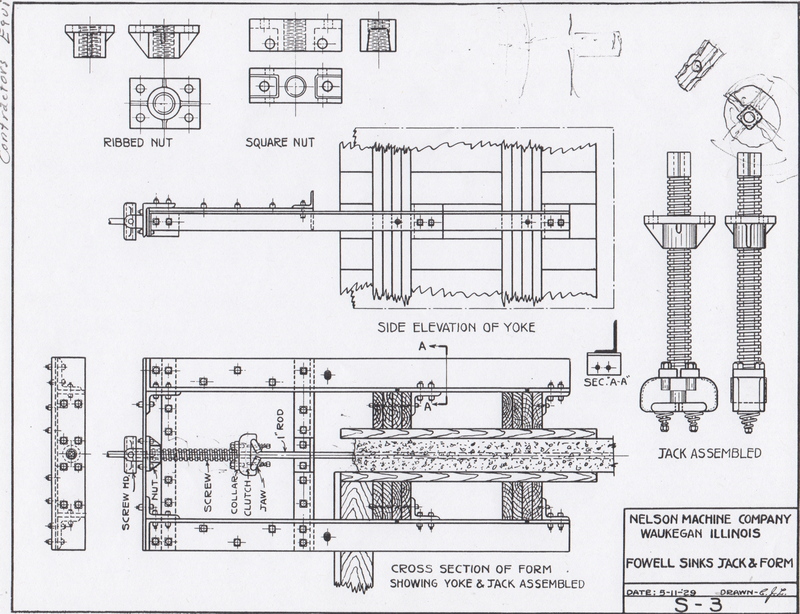 These plans found in the Tillotson Construction Company archives show details of jack screw assembly and formwork, which were essential in the continuous pour method of building elevators, and they contain the key to unlocking the story of how screw jacks came into use. 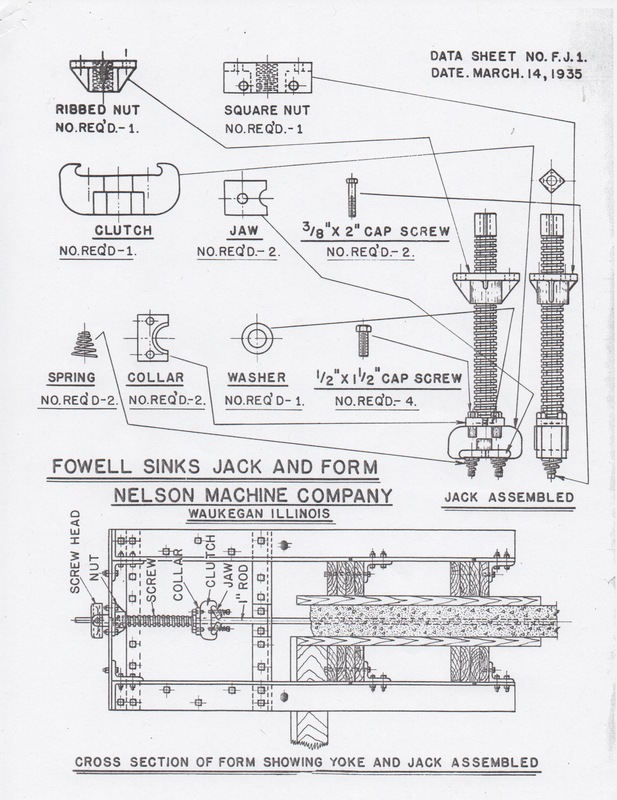 This key in is in the all-caps lettering “FOWELL SINKS JACK AND FORM.” A Web search reveals that “Fowell” is misspelled. 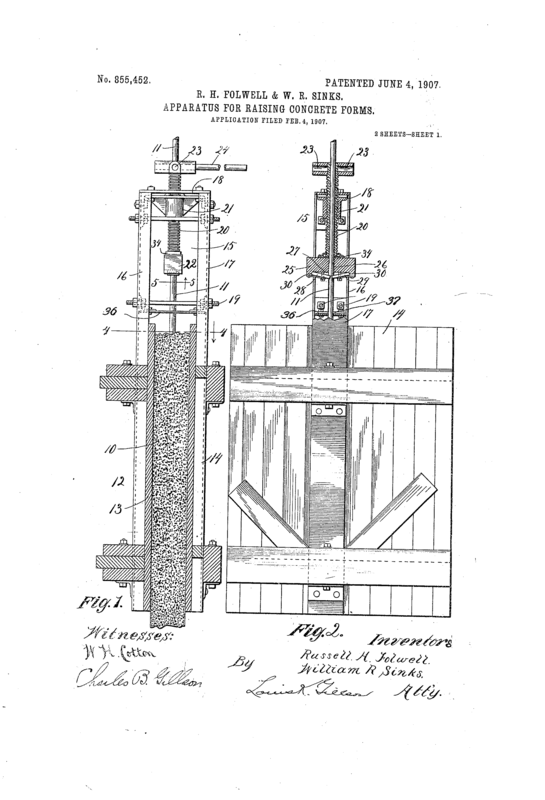 Russell H. Folwell and William R. Sinks were Chicagoans who were granted patent 855452 for Apparatus for Raising Concrete Forms. The next year, the Canadian Stewart Company Ltd., of Montreal, started building the Grand Trunk Pacific Railway’s 3.5-million-bushel terminal elevator in Thunder Bay, Ont. Folwell was chief design engineer; Sinks supervised the construction. Work was finished in 1910. 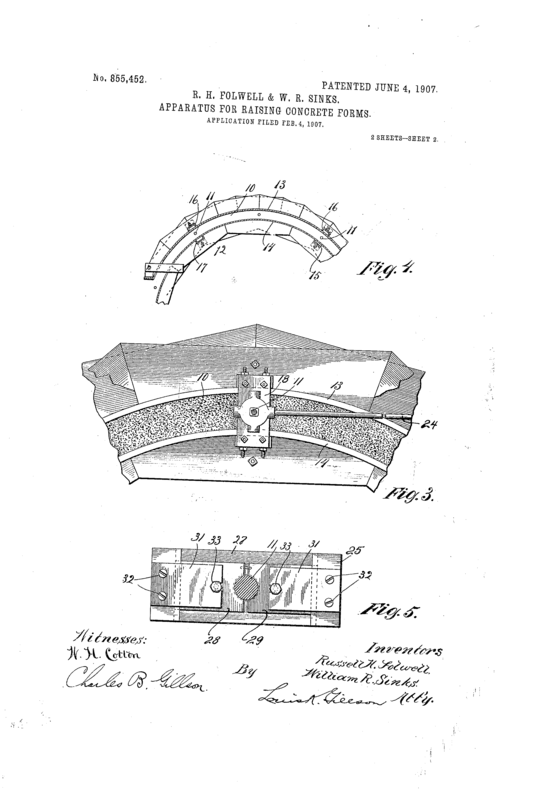 The Official Gazette of the United States Patent Office, Volume 128, characterized the jack screw apparatus in a nine-point description. 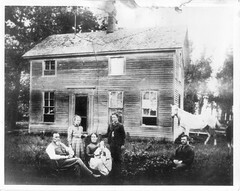 Before perfecting the jack screw method, Sinks had been a proponent of tile construction for elevators, according to his grandson John Sinks, a genealogical researcher. He says his grandfather joined James Stewart & Company in 1905. For 108 years, between 1845 and 1953 (the company had come from Canada to the U.S. after the Civil War), Stewart was “one of North America’s most accomplished and longest-standing contractors,” the site of the National Building Museum tells us. 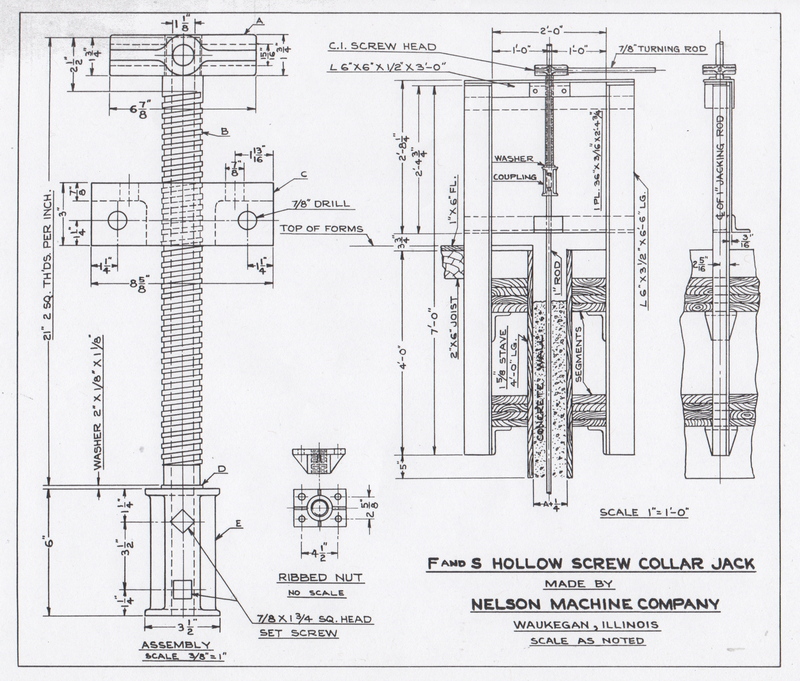 Meanwhile, Nelson Machine Company, of Waukegan, Ill., appears to have been a manufacturer not only of screw jacks but also of pressing machines and irons. This entry was posted in The Companies, Their Work, Tillotson Construction Company and tagged architecture, Business, construction, grain elevator, screw jacks, slip-formed concrete.